NanoStudio is a recording studio for iOS, OS X and Windows. It has virtual analogue synths, sample trigger pads, a comprehensive sequencer, a sample editor, a mixer and multiple effects all integrated into a single application. NanoStudio’s intuitive user interface frees you to get creative yet has loads of depth for when you need it. To try it out head on over to our website where you can download the OS X and Windows versions for free! 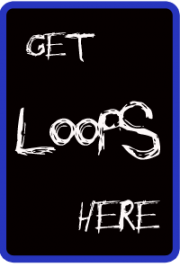 Each of the four loop pack construction kits comes with ten loops. You’ll get drums, basses, SFX, hi hats, and more. Formats include “.loop” for all Sound Trends Apps (Looptasic,Meta.DJ,StudioHD), “.bmkz” for Intua Beatmaker, and “.trg” for NanoStudio TRG-16 drum pads. NanoStudio is a music app for iPhone which combines sampling, synthesis, sequencing and mastering. Record your ideas in real time, mix synth layers with samples, compose and arrange your tune using the powerful sequencer and bring the mix alive with real time effects such as reverb, waveshaping and delay. You can use your own samples or record them using the microphone. NanoStudio’s low latency audio engine is custom engineered for iPhone, capable of delivering an amazing 48 voice polyphony in CD quality stereo. Introducing Eden, NanoStudio’s versatile synth. Eden creates analogue sounds ranging from deep basslines and fat pads all the way up to squealing 303 lines and heavily distorted leads. Each voice has 2 anti-aliased oscillators modulated in mix, ring or sync configurations fed into a low, band or high pass 2 pole resonant filter. It doesn’t stop there. NanoStudio allows you to use 4 synths simultaneously, each with its own insert effects such as waveshaping, chorus and delay. When you want to go beyond basic oscillators, load up a sample and process it just like a normal synth voice – great for mashing up vocals or even the whole mix. When you’re ready to get really creative, NanoStudio allows you to resample its own output and trigger the sample via the pads or keys, freeing up synths and effects to add even more sonic goodness to your composition. Record samples using the built in microphone, resample NanoStudio’s own output or upload your own samples over Wifi using the NanoSync tool for PC and Mac. Edit your samples using NanoStudio’s built-in wave editing tools and trigger them using the 16 pads. Adjust pitch, pan, volume and envelopes and assign each sample to one of the 3 output busses, each with its own effect and filter setup. Record performances in real-time using the keys and sample pads or create patterns and controller sweeps by drawing them in the piano roll editor. Arrange your patterns into a complete song using the track editor. Edit to your heart’s content while the song is playing and rest assured that every editing and recording operation has multiple undo/redo. Use Nanostudio’s intuitive mixer to monitor levels and get your final mix just the way you want it. The mixer’s two global effects sends allow you to individually apply reverb and delay effects to each track. When you’re ready to share your mix with others, and use NanoSync to copy the exported .wav file to your PC or Mac over Wifi.